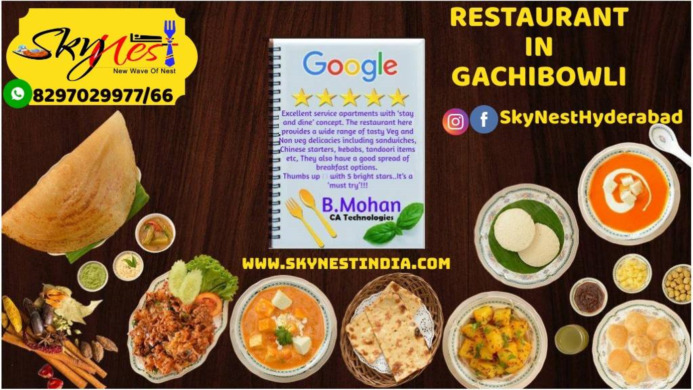 Special Hyderabadi Biryani in Gachibowli. 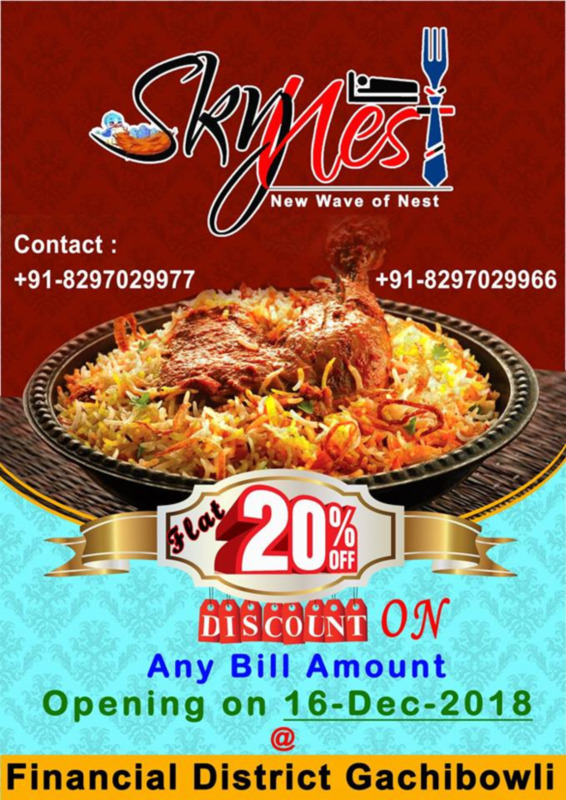 SkyNest Restaurant available a special biryani tasty, yummy with species. All types of chicken biryani and mutton biryani available. Book order in zomato 20% discount by first order. For details visit our site.